A reliable point of departure for new readers of Subaltern Studies and a resource base for experienced readers who want to revive critical debates. In recent years, the most important and influential change in the historiography of South Asia, and particularly India, has been brought about by the globally renowned 'Subaltern Studies' project that began 20 years ago. The present volume of critiques and readings of the project represents the first comprehensive historical introduction to Subaltern Studies and the worldwide debates it has generated among scholars of history, politics and sociology. The volume provides a reliable point of departure for new readers of Subaltern Studies and a resource base for experienced readers, who want to revive critical debates. 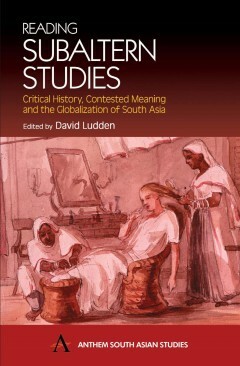 In his introduction, David Ludden traces the intellectual history of subalternity and analyses trends in the globalization of academic discourse that account for the changing character of Subaltern Studies as well as for the shifting debates around it. In doing so, he expands the field of discussion well beyond Subaltern Studies into broader problems of historical research methodology in the study of subordinate people and into problems of writing contemporary intellectual history. The book thus provides a general readers' guide to techniques for critical historical reading. It uses Subaltern Studies to indicate how readers can read themselves, their context, the text, the author, the author's sources and the subject of study into a single, contentious field of historical analysis. David Ludden is Professor of History at the University of Pennsylvania. He teaches South Asian history and development studies, particularly issues surrounding hunger, poverty and environment.